Drummond Woodsum attorneys will discuss common legal issues relating to corporate governance and structuring, agreements with third parties, and employee relations. *Lunch will be provided. Learn firsthand about the Mid Coast Center for Joint Replacement at a free educational session on Thursday, March 16, 1-2 p.m. at Mid Coast Hospital, 123 Medical Center Drive in Brunswick. Join members of our Orthopedic Care team—including William P. Simpson, PA-C, Donna Gioia, PT, OCS, and Buffie Breed, OT/L—to learn about the first-class orthopedic care available right here, close to home. Mark F. Henry, MD, a joint replacement surgeon with Mid Coast Medical Group – Orthopedics, will also be on hand to discuss surgery and answer questions. 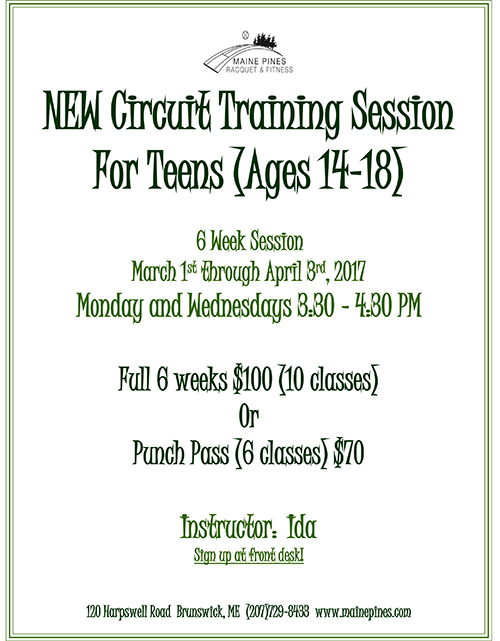 For more information, please call (207) 386-0418 or www. midcoasthealth.com/joint. Please join us and plan to bring a friend to BDA’s Simply Social networking event with local business members and guests! Thursday, March 16th from 5 – 6:30 pm at Coastal Pines Wellness Center, 31 Bath Road, Brunswick! Meet owner Greg Leonard and three practitioners that offer a variety of holistic services at Ibis Massage & Bodywork, Maine Preventive Healthcare, llc and Harmony & Balance Holistic Arts. Refreshments will be served.